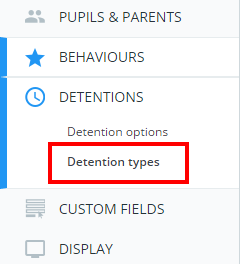 If you have set up detention types in Class Charts, you can also give them a default date to be scheduled. 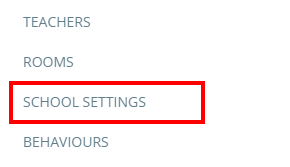 To set a default date for a detention type, click on the three lines menu in the top right hand corner and select School Settings form the list of available options. 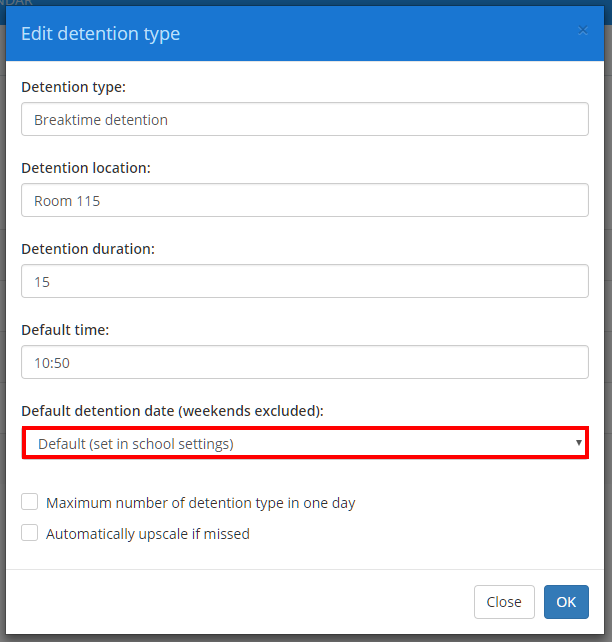 Default: If selected, the detention will use the default detention date specified in the Detention options section of School Settings. None: If selected, the detention will always be displayed in the Unscheduled section of the Detentions manager without a date specified. 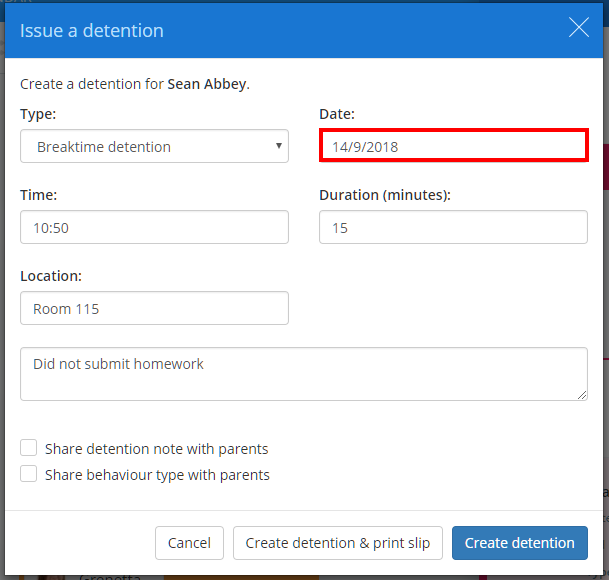 Today: If selected, the detention will always be displayed in the Today section of the Detentions manager, scheduled for today's date. Tomorrow: If selected, the detention will always be scheduled for the following day. 1 week later: If selected, the detention will always be scheduled for exactly one week's time. Next Monday: If selected, the detention will always be scheduled for the following Monday. Next Tuesday: If selected, the detention will always be scheduled for the following Tuesday. Next Wednesday: If selected, the detention will always be scheduled for the following Wednesday. Next Thursday: If selected, the detention will always be scheduled for the following Thursday. Next Friday: If selected, the detention will always be scheduled for the following Friday. 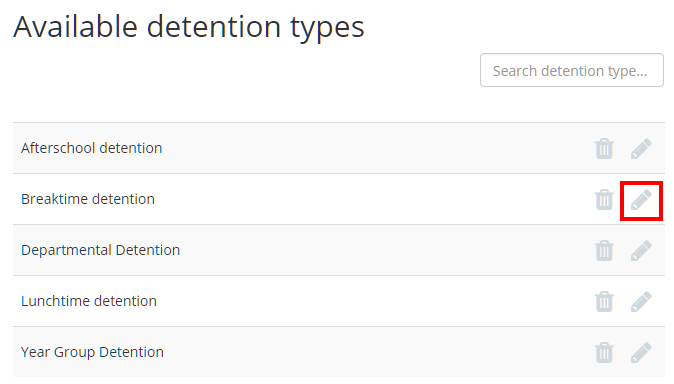 The next time you award a detention of the selected type, the Date field will be prepopulated with the detention type's default date.